Wife. Mom. Breast cancer survivor. Runner? Yes, runner! Daydreaming of moving to a colder climate, or Cinderella's castle. Either would be awesome! Tonight, after work and after the Gators nearly made me open that Italian moscato d’asti hanging out in my refrigerator, I went out for my weekly outside run. Last week, I ran a 5K in 58:34. I was attempting to do 1:1 run:walk intervals, but I found that very difficult, and I skipped a couple (several) of the running intervals. I did a little bit more reading, and I found where many people were able to achieve better results by altering their run walk ratio. I decided to give it a shot, and it was amazing how much better things went. I felt stronger, and that in turn made me go faster, and so on. I switched to a 30 second run: 90 second walk pattern, and voila! Almost 5 full minutes off my time in 1 week! Obviously this was not because of someone sprinkling pixie dust on my admittedly gorgeous hot pink New Balances, the run/walk ratio just fit me better. 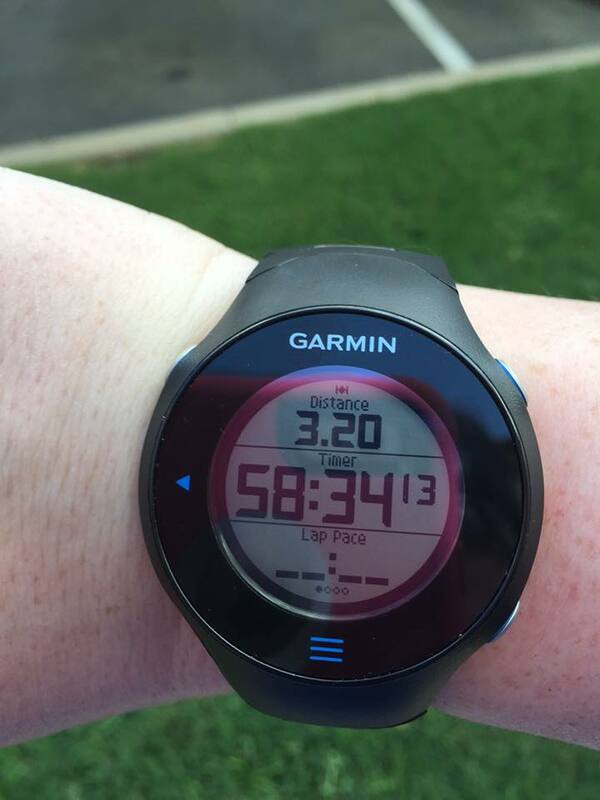 Not only do I think the time I was running was faster, but I was able to walk faster as well. The boost I got mentally from not having to skip any of the running intervals was noticable. I would rather run shorter time and feel successful than struggle with running longer time and feel discouraged. Hubby and I really did feel great doing this together. We don’t really talk, but it is really helpful to have him right there with me, believing in me, and supporting me. He has issues with the anatomy of his knees, so running is definitely my thing, but he is hanging in there with me for now, just to be the amazing man and husband he is best at being! I do realize as my training starts to kick up and I have to run longer distances, he might not be able to stay with me because of his physical issues but I wouldn’t be able to accomplish half the things I do without his support and belief in me. Sometimes, I think he believes in me more than I believe in myself. In terms of my splits, the first mile was 16:35, the second mile was 16:55, and the third mile was 16:42. This was fairly equal, so I am happy with that. 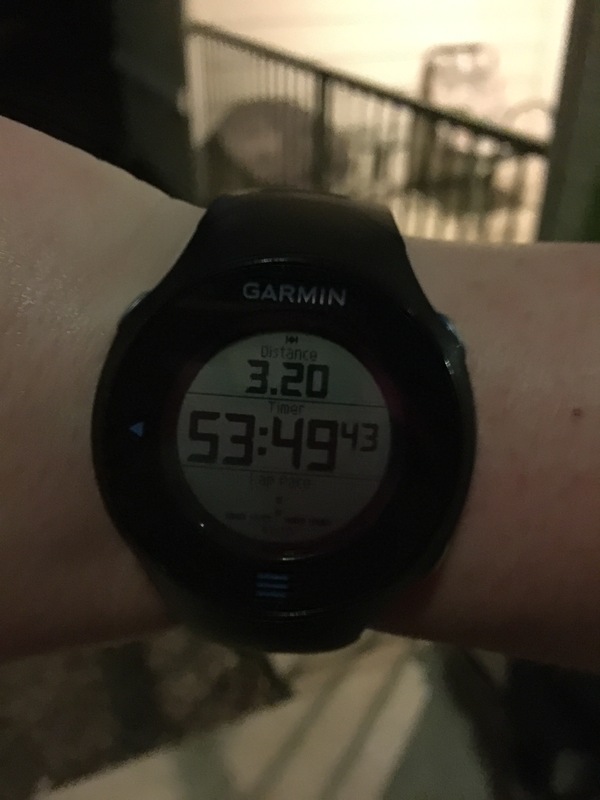 We are running on the sidewalk around where we live, and there are some slight hills, so I think we kept a pretty steady pace. The very best part of all of this is my first Disney race is still 144 days away, I am at the beginning of my training, and I am already close to the 16 min/mile pace I have to maintain. I am encouraged that with continued training and weight loss, I will be properly prepared, and I am so excited! Now, if anyone wants to help me try to convince my husband I should sign up for this on October 6th, I would appreciate it! Today was a good day. I am very happy to be able to type that sentence, because I have had several days that were not good days, in a row. I have just had one of those weeks. And just when I thought the lousy week was over, I had another couple of bad days. In the past 10 or so days, I have had gastrointestinal difficulties not once but two different days, my lovely Aunt Flo came to visit with a vengeance, I tweaked my knee, I have had nutrition challenges, and the ever present stress of life. I work a job where I have a set schedule, but it is a two week rotation, so there is no real normalcy, and no easy routine to settle in to. When I work, it could be 8am to 5pm or it could be (usually is) 8am to 8pm. Not being able to establish a routine is really a huge obstacle to my fitness and running journey. Despite having had a few (several) bad days, I went to the gym tonight and I completed my workout as intended. I did my running intervals (all of them) and I did them at the predetermined difficulty (I detest incline) and I felt good. My heart rate went up and down as it was supposed to do, so my trainer will likely be happy. All of this is because of motivation. I was online at 11am central, and I was able to register for the Dark Side Challenge at Walt Disney World in April 2016. 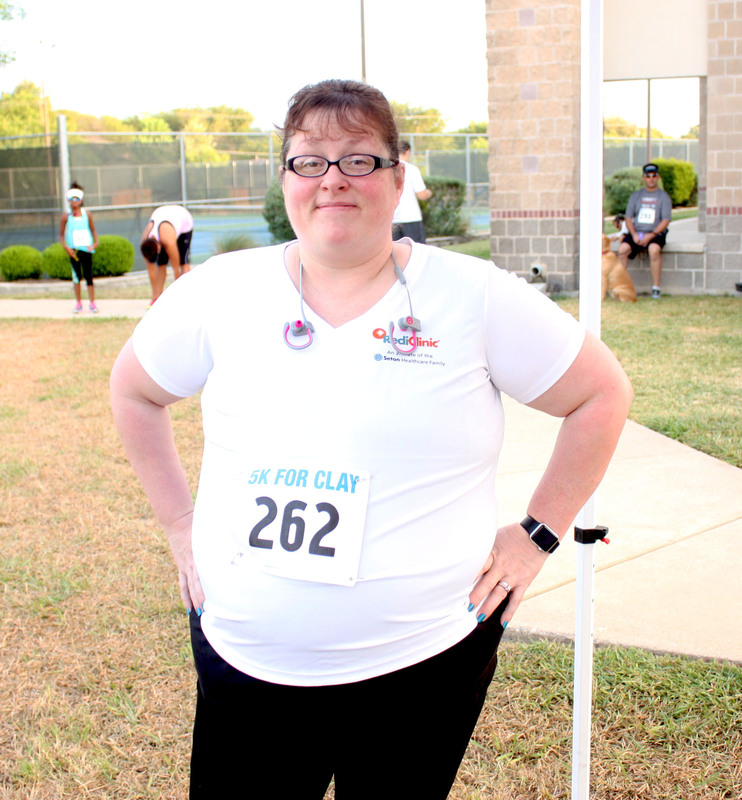 I also was able to register for the 5K and register my husband for the 5K. This is convenient, because I already made my hotel reservations and had been essentially planning on doing this race. I am super excited at the prospect of getting to do an inaugural race and continue doing it annually. That brings me to what runDisney means to my running game. Motivation. I am currently registered to run three runDisney races, starting with the Disney Princess weekend, followed by the Star Wars – Dark Side weekend, and the Tinkerbell weekend. I also plan to sign up for the Disneyland Half weekend and the Wine and Dine Half, as well as the lofty goal of the Disney World Marathon weekend in January 2017. I am officially signed up for (paid a ton of money for) the three aforementioned races, and we have already made our hotel reservations (which includes deposits) and have the airline tickets for the first race. I also have purchased an annual pass for Walt Disney World. This all adds up to a significant chunk of change. Now, this may sound like a bit of a complaint, but really, it is money very well spent. You see, I am committed. I have spent money, I have my vacation time approved through work. My husband has taken vacation time at his work. I have told people, my husband has told people, I started this blog. I need to follow through. When I have a bad day, or a string of bad days, I cannot just quit. I cannot just go back to the way I used to eat and not exercise, because I have things to do! I have races to run. I have life to live. I know there are a lot of people who think it is crazy to spend the amount of money I have spent and will be spending on running races. I have already heard it one hundred times. You know what though? I am 43 years old, and if spending this money makes me more accountable and motivated to myself to accomplish my ultimate goal of living a healthier (hopefully longer) life, it is quite a bargain. There is no price to be put upon being able to play with my grandchildren. There is no way to quantify the improvement of quality of life with my husband. There is no monetary value that can be assigned to the increased strength I feel physically and mentally from continuing to pick myself up, dust myself off, and keep on making progress. No matter how slow it is, progress is infinitely better than apathy. I saw a photo recently that was captioned, “No matter how long it takes you to run the race, you are still lapping everyone on the couch” or something to that effect. I love it. It is true. I might not be the fastest runner, I might be as slow as a turtle wading through quicksand, but I am better than I was sitting and wasting my life and health away. We only get one life to live, and I am going to live mine. I have learned a lot about myself while pursuing this new running obsession of mine. The most important thing I have figured out is that running is a mental game I play with myself. When I used to think about running, I thought about the physical demands on your body. VO2, body mechanics, force of impact on your feet and joints. 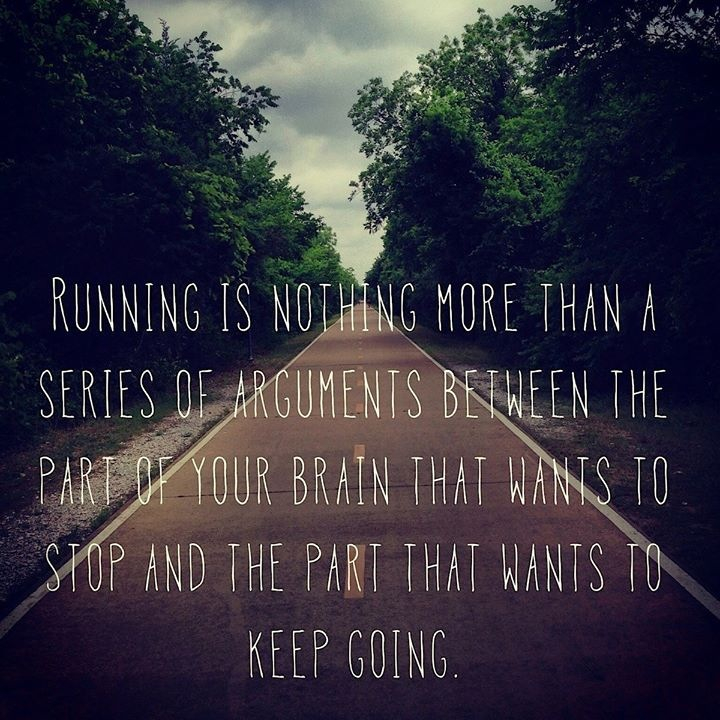 All important considerations, but what is the hardest thing about running for me is the mental aspect. For example, when I get to the gym to do a run and climb up on the treadmill, I am not usually completely thrilled at the prospect. We go to the gym in the evening, usually after a long day at work, and all I really want to be doing is relaxing, watching TV, and getting ready for bed. As I start my run (or walk, on those days) I try to focus on my long term goals, which means thinking about runDisney events of course! I often visualize how it will feel to run down Main Street, or run through Cinderella’s Castle. These thoughts are usually good for several minutes, but, since it is a bit far away (161 days!) and I have never actually experienced the events, the vicarious, pleasant thoughts are hard to maintain. I then start playing the game. During the 8 minute warm-up, I am pretty content with generally letting my mind ponder whatever topic pops up. My warm up is walking 2.7 with a 1% incline for 2 minutes, 3.0 at a 1% incline for 2 minutes, 3.3 at a 1% incline for 2 minutes, concluding with 3.3 at a 3% incline. This is not terribly difficult, so the mind game has not officially started. The first run interval tends to be on the easy side. I am just getting started, and the Main Street/Cinderella’s Castle thoughts get me through this interval easily. The second run interval is a little more difficult. I start thinking how much more time I have to go, and I am generally aware of the fact that I am a big woman with jiggly parts jiggling, and I have some discomfort. I tell myself I only have to do 4 more intervals after this one if I want to stop at 6. The third interval I am telling myself if I quit at 6 intervals, I will be halfway done if I stop at 6. Halfway done is good, right? Also, if I want to slow my pace down for the rest of the intervals, that would totally be understandable and perfectly okay. The fourth interval is usually one of the worst. The game is getting tough, and I start thinking I want to quit. Some of the thoughts for this interval include telling myself I could stop after this interval if I wanted to, at least I did some exercise, right? But then I think, no, I can do 6 intervals, I can, I really really can. The fifth interval is often one of the better ones. I am telling myself, hey, I am almost done. One more interval and I can stop. I got this. The sixth interval is when pure stubbornness kicks in. I am not going to quit after 6 when I can do 8! As this interval ends, I get a second wind mentally, because I know each interval I do past this one is all me, all extra, and beyond expectations. The moral of this story is my body can do more than it should be able to do on paper. I am middle-aged, overweight, and out of shape. I have learned where the mind goes, the body follows. Granted, I am well aware there are physical limitations. I couldn’t run a marathon tomorrow just because I decided I could. What I can do is work hard, every run, to make small strides towards improving my speed and my distance. I can go on that run even when I am tired and grumpy, and not feeling very princess-like. I can make sure I never lose track of the long term goals, and just keep on keeping on. I have a strong mind and am stubborn, I can use that strength to conquer the weakness in my body until mind and body are both strong and fit. When I started running a couple of months ago, one of the things I would say to people when talking to them about my aspirations of running a Disney event was, “When I become a runner…” I didn’t have any specific moment in time at which point I would magically turn into a runner, but I was very sure that a runner did not look like me. I am overweight, and when I started this running adventure, I could barely “run” at a speed of 3.5 on the treadmill for 60 seconds. I guess I was thinking I would need to lose a significant amount of weight and increase my fitness level dramatically, and maybe then I could be a runner. Here’s the thing though, I am a runner. According to Merriam-Webster, a runner is someone who runs, either for exercise, as a part of a sport, or who participates in races. Well, so let’s see here. I do run for exercise, three times per week, walking for longer time periods three other days of the week. Additionally, I have already participated in my first 5K, so, I ran in a race. 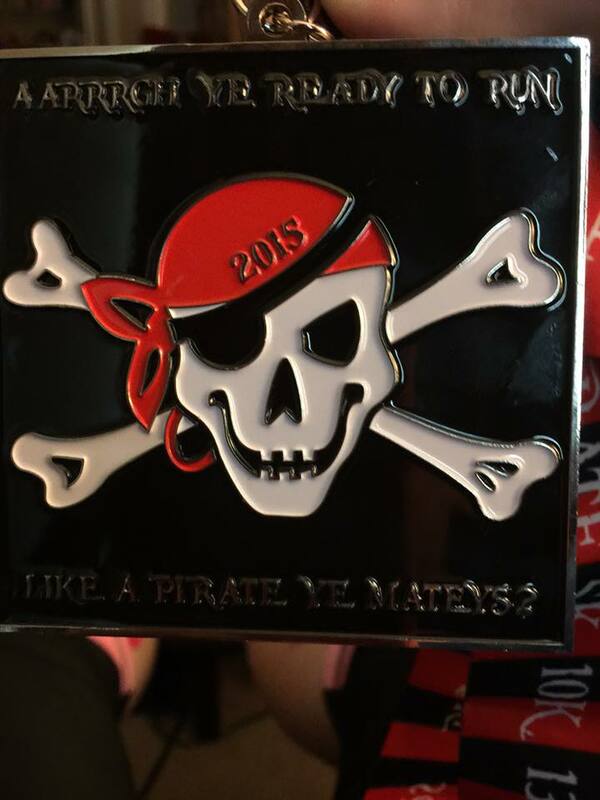 I am signed up for several races over the next year, ranging from 5K up to and including some runDisney challenges such as the Glass Slipper Challenge and the Pixie Dust Challenge. (of course! Have you seen the picture on the top of my blog?!) I can say affirmatively yes, I run in races. So, while I do not participate in any sort of sport that requires running (other than running itself) I reckon that means I am a runner! Well isn’t that special? No really! When I came to the realization that I could call myself a runner and not feel like I had to say when I become a runner it was an incredibly positive feeling. Do I look like what someone visualizes when they think of a runner, all sleek, slender and gazelle-like? No. Does that make me any less of a runner? No. One of the themes I have seen over and over in various contexts while eagerly perusing running blogs the past fews months is: everyone has to run their own race. Well, my race may not be as fast as the next person’s, I may be doing walk-run intervals, and there may be all sorts of jiggling body parts that are best ignored, but I am just as much of a runner as someone doing their 20th marathon. One thing I can say helped me feel good about becoming a runner was the support I felt from others (formerly known to me as real runners). I participated in a 5K with my coworkers, and as I was chugging along, definitely walking more than jogging, I felt so much positive energy. The runners who were passing me going the opposite direction to finish their race while I was really just getting started were very encouraging. 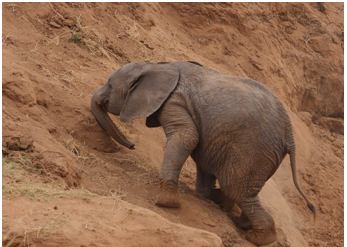 I heard many murmurs of “Way to go!” and “Good job, keep going!” and it made me feel like I really could do it. Much as I had steeled myself for nasty looks or rude comments, I didn’t experience any of that. I can’t tell you how much I LOVE that. The running community really seems, by and large, to be really nice people. I know from experience that is not always the case in athletic pursuits. I am a runner. I say this to myself several times a day, including when I am taping up my knees with kinesiology tape and climbing on the treadmill to push myself a little bit harder every day. I say it to myself when I am passing up food that is not good for me and would sabotage my efforts at improving myself. I don’t worry about what someone else might think of me when I say it and they look at me and wonder what in the world I am talking about. I am a runner, and I will run each of my races my way, the best I can, just like the person who wins the race, and the one who comes in last. We are all real runners. ***Editing this entry because I am adding a link to this post on My No Guilt Life which is a blog I love to read, and she is definitely inspiring and worth checking out!! This past weekend, the Disneyland Half Marathon was held at Disneyland/in Anaheim, CA. I was pouring over the various runner’s blogs I like to read, anxious for any race recaps or photos I could get my virtual hands on. It was during this weekend I realized I am done. There is no hope for me, I am addicted to runDisney. All of this really started back in July when my husband and I agreed we wanted to lose weight, get healthy and be more physically fit. We are both in our 40’s, and we want to be able to enjoy the second half of our lives to the best of our ability. 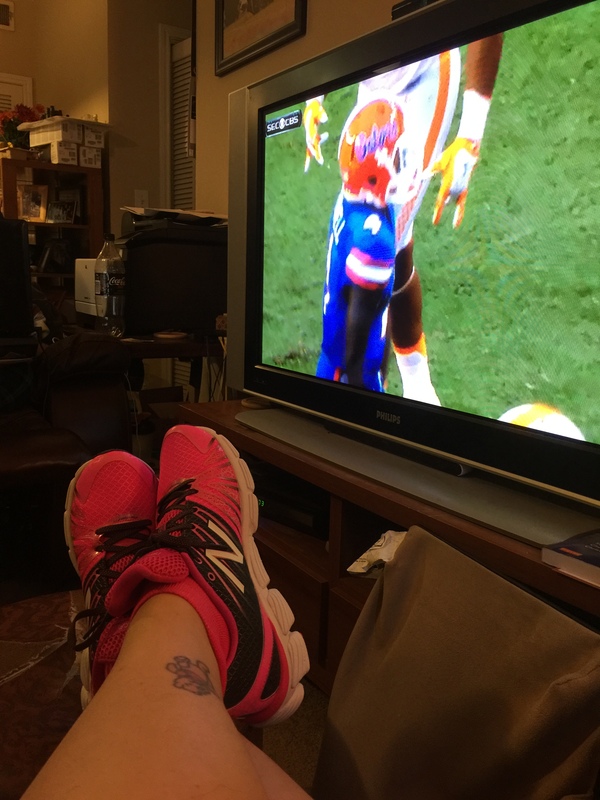 I am nearly six years out from a serious breast cancer diagnosis (stage IIIb), graduated from a master’s program and transitioned from a registered nurse to a nurse practitioner a year ago. I have raised three young men and helped raise a young lady into adulthood. 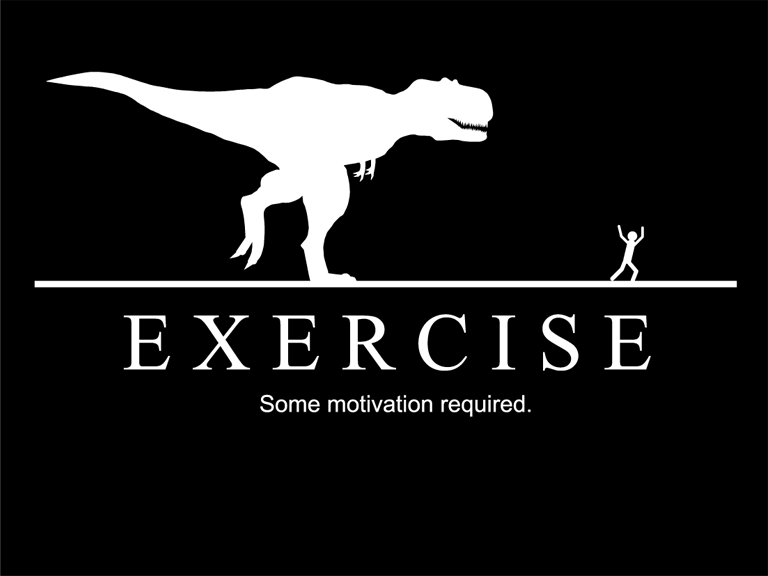 We started going to the gym and I started thinking I would really like to be a runner. It was time. As a teenager, I wanted to be a runner. I used to watch some of my friends and classmates run effortlessly, and I was jealous. You see, I was blessed (really?) with very large breasts. Running was a painful endeavor, and not something I enjoyed, and that was primarily due to my anatomy. There really weren’t enough sports bras in Upstate New York to hold those puppies down! Fast forward 30ish years, and now I do not have that particular issue. When you deal with a life-threatening illness like breast cancer, and you have to have a double mastectomy, you deal with that how you can. I like to look on the bright side of things, and voila! Bright side! I could theoretically become a runner now! I started slowly (who am I kidding, I am still moving slowly) and followed the Couch to 5K app on my phone for a few weeks. I have a trainer at the gym and did some metabolic testing, and she tweaked my running intervals some, and on I ran. Now, I am running 3 days per week using run-walk-run-walk intervals, and walking another 3 days per week. I am becoming a runner! So, I am the kind of person who needs goals. I have to be working towards something that is significant enough to help me overcome obstacles and days when I just feel like lying in bed watching Netflix and seeing how infrequently I can get up to use the bathroom. This is no easy task for anyone, but I had made the commitment to myself. I started browsing running stuff on the internet, and I ended up on the runDisney website. I LOVE all things Disney, as does my husband. Disney World was where I had my second date with my husband. The Magic Kingdom opened the year I was born, and I am pretty sure for the first 18 years of my life, I went at least once a year. I thought to myself, A half marathon though? Aren’t you getting a little carried away? Well, of course I was, but no, that was not good enough. In true Julie style (jumping in head first) I decided to do the Disney Princess Half Marathon Glass Slipper Challenge. This means I will run the Disney Enchanted 10K on Saturday and the Disney Princess Half Marathon on Sunday. Yeah, you haven’t met me, but if you had, you wouldn’t be surprised. Now on to the reason I have started this blog. As I will discuss in coming weeks, I am committed to participating in runDisney events, more than just a one and done approach. 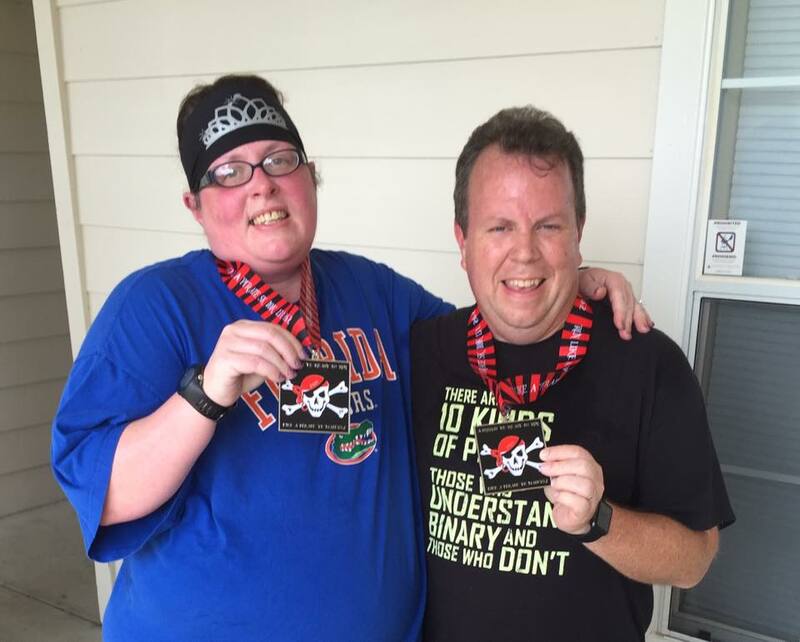 Currently I am also signed up to run the Pixie Dust Challenge at the Tinkerbell Half Marathon in May 2016, and I am going to sign up for the Rebel Challenge at the Star Wars Half Marathon – The Dark Side in April 2016. I am obsessed with running Disney! In order to fuel my obsession, I scour the internet looking for blogs written by people who have run or are planning to run at Disney events. I have come across some really good ones, and I feel inspired to track my own journey with a blog, and maybe even give someone else some inspiration along the way! Plentyofpixiedust.com was born today, and the name was chosen because I love when Peter Pan tells Wendy and the other children all they need to fly is faith, trust, and a little pixie dust. All things considered, I figure when you are an overweight, middle-aged breast cancer survivor, you might need plenty of pixie dust! 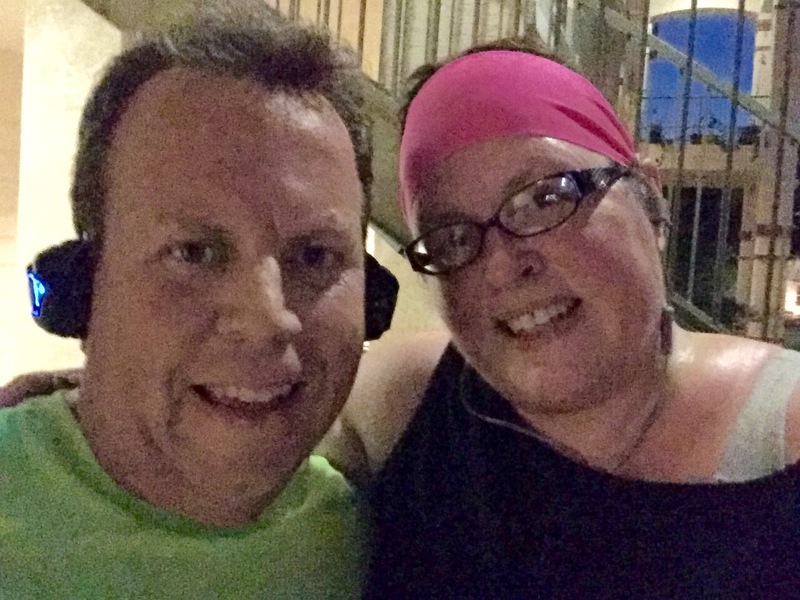 I plan to write about my running progress, races, Disney, and my weight loss. No doubt for me, the highlights will be runDisney events. I am eagerly counting down the days (163) until I am living the magic and I will be able to blog about my own experiences. Come fly with me!